Corey Richason began his massage career in early 2001 after graduating from the Master Massage program at Phoenix Therapeutic Massage College. Since then he has gained experience and exposure in the massage community. He served as the state coordinator of Emergency Massage Response International (a volunteer massage organization that works on first responders). 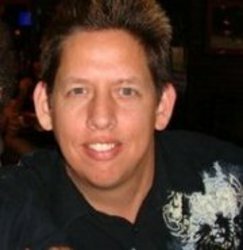 Corey went on to teach massage therapy at his alma mater, Phoenix Therapeutic Massage College. From Tempe to Surprise, Scottsdale to Avondale, and all over Phoenix,Corey provides massage at your location. The privacy of your own home or office provides a multitude of advantages. In addition, you may find us volunteering our massage services at events such as the YMCA 1/2 Marathon and Race for the Cure. Corey has worked with many clients such as employees of Arizona Heart Hospital and Southwest Airlines, professional and amateur athletes, through infants and seniors. We are able to provide a variety of therapies specific to your needs. These include facilitated stretching, deep tissue, swedish, pregnancy, thai, myotherapy, and neuromuscular therapy.